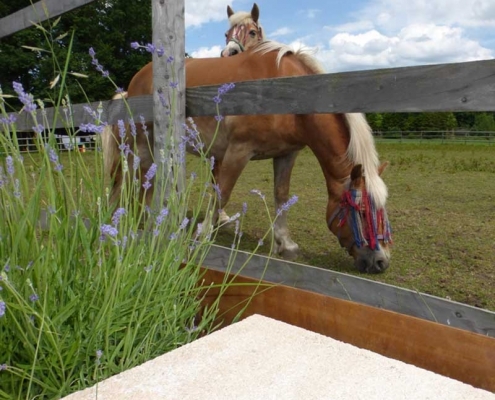 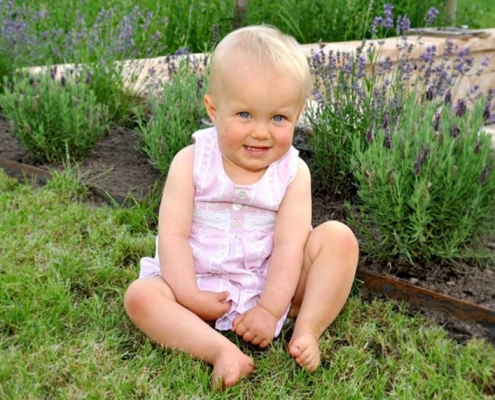 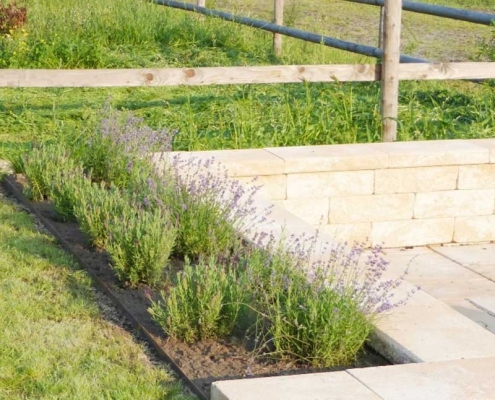 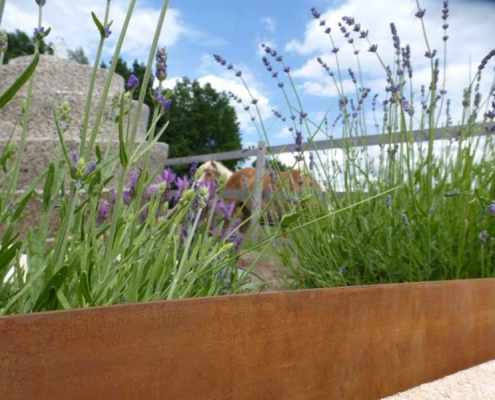 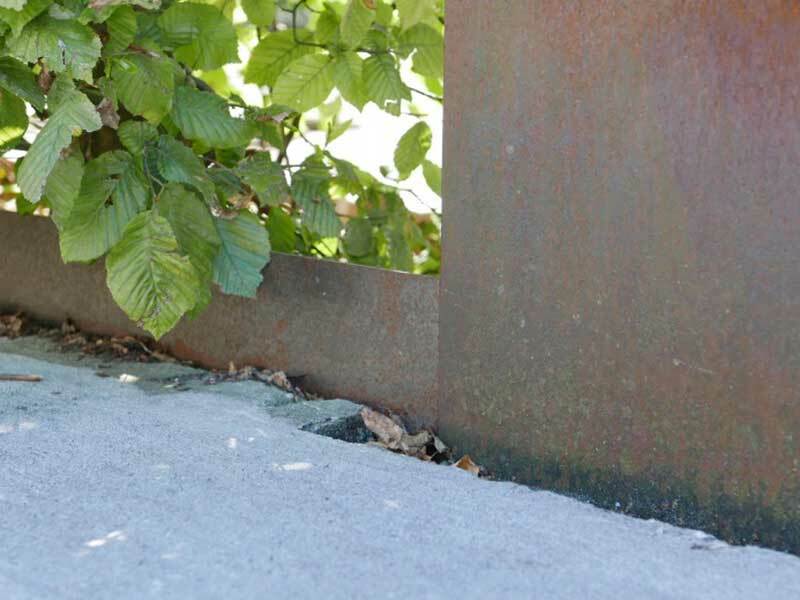 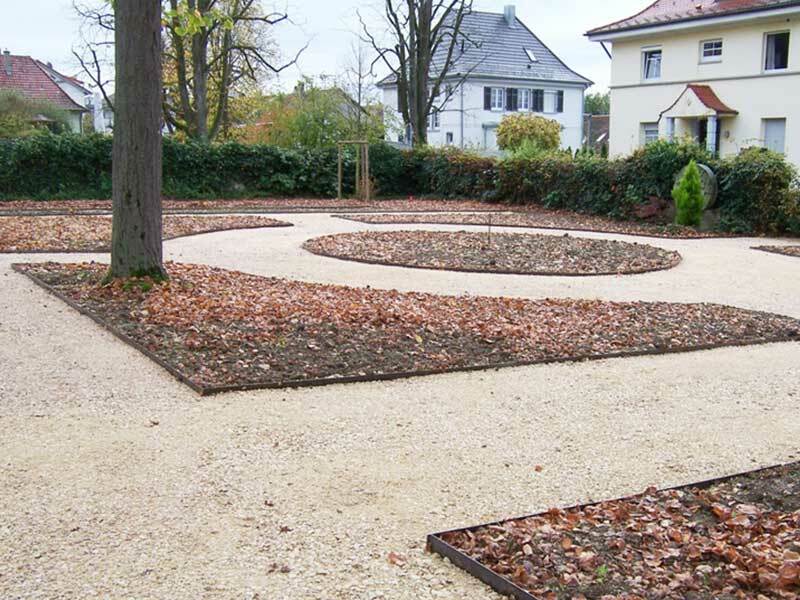 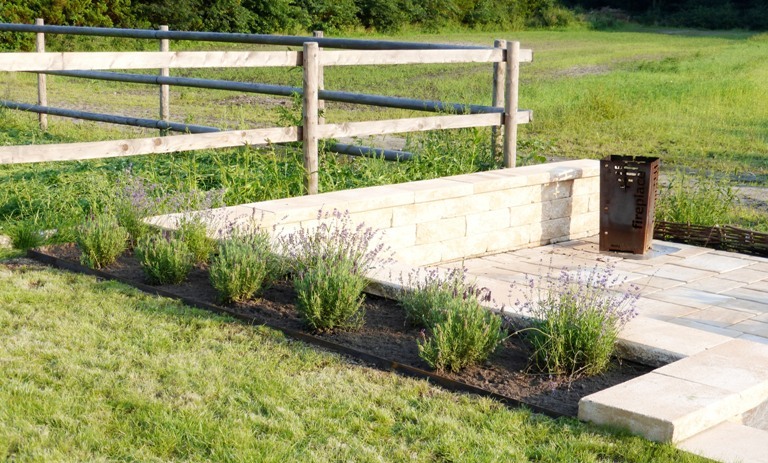 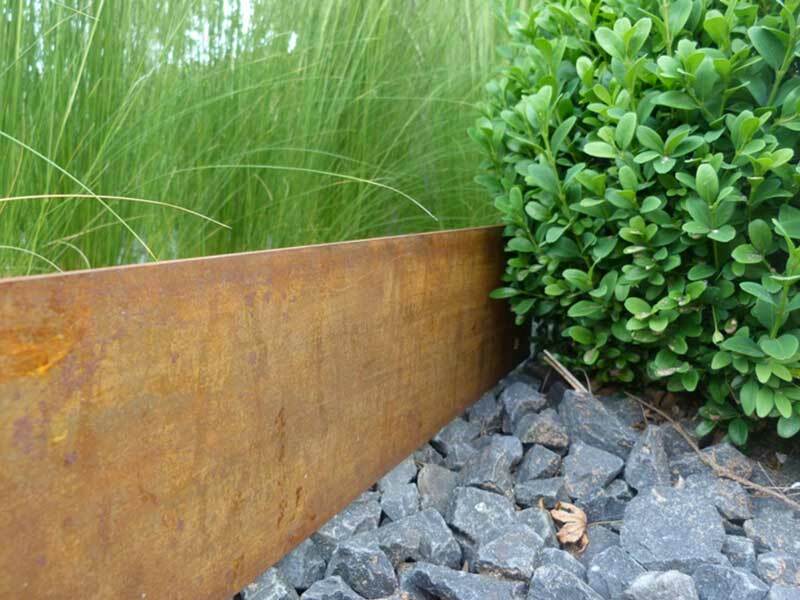 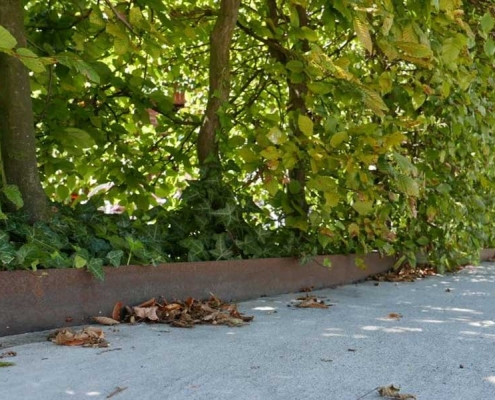 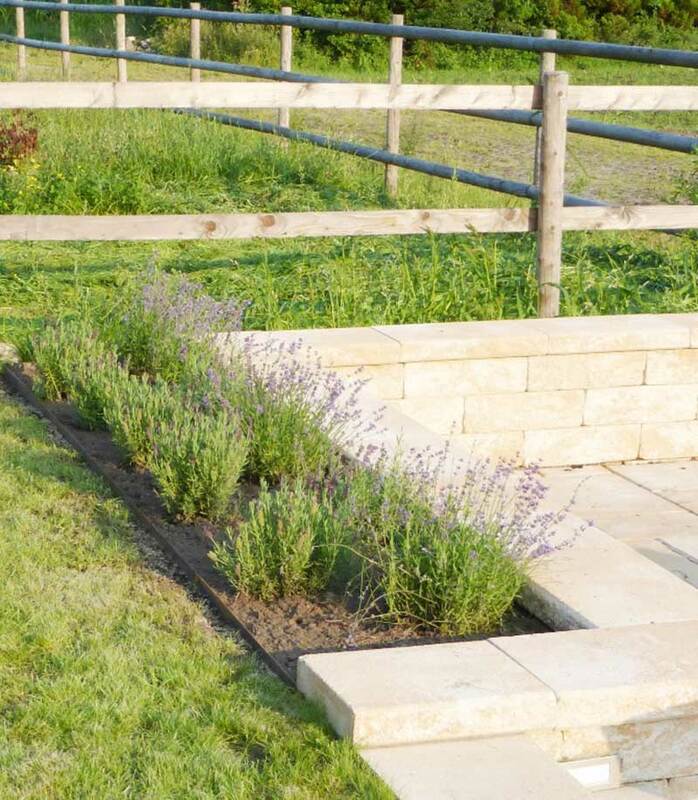 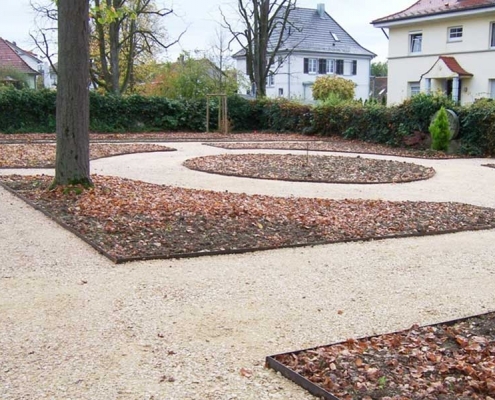 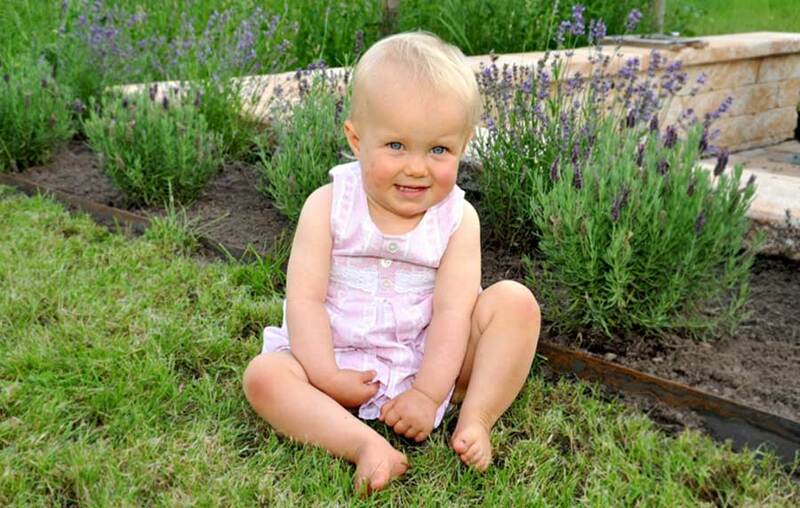 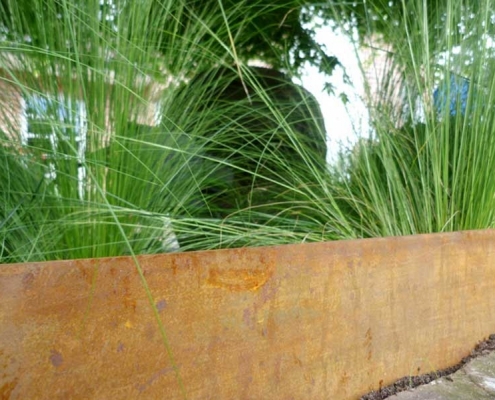 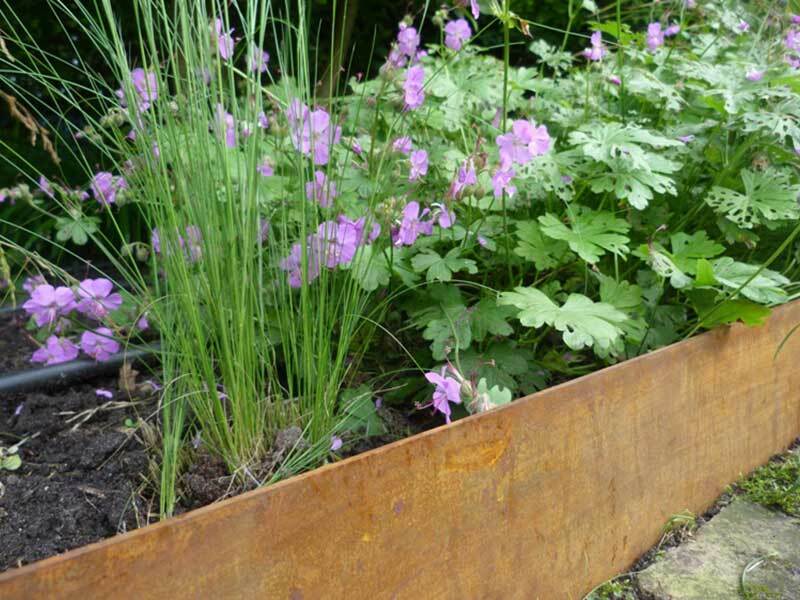 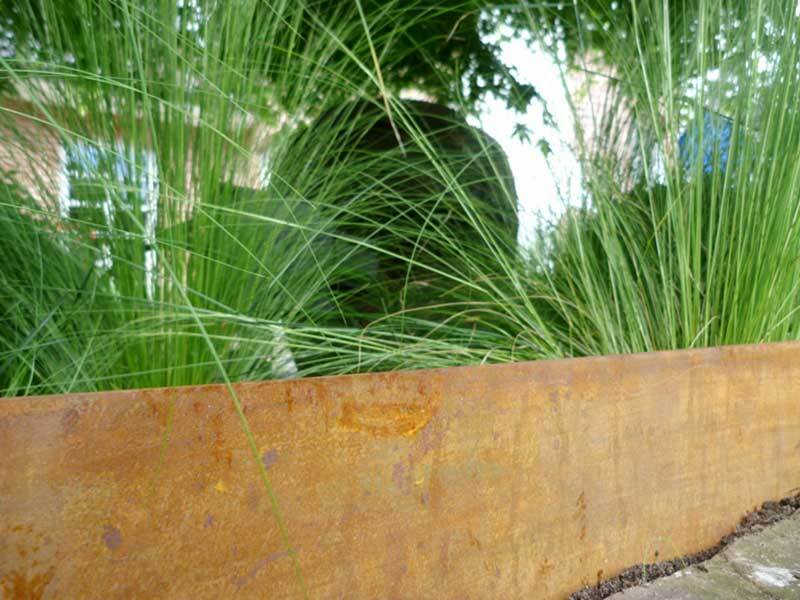 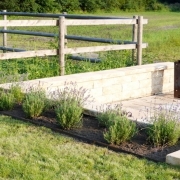 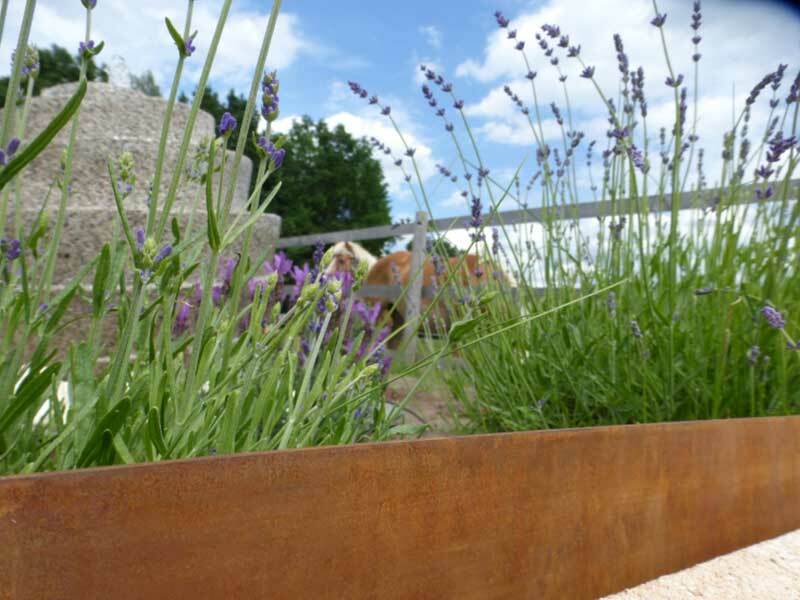 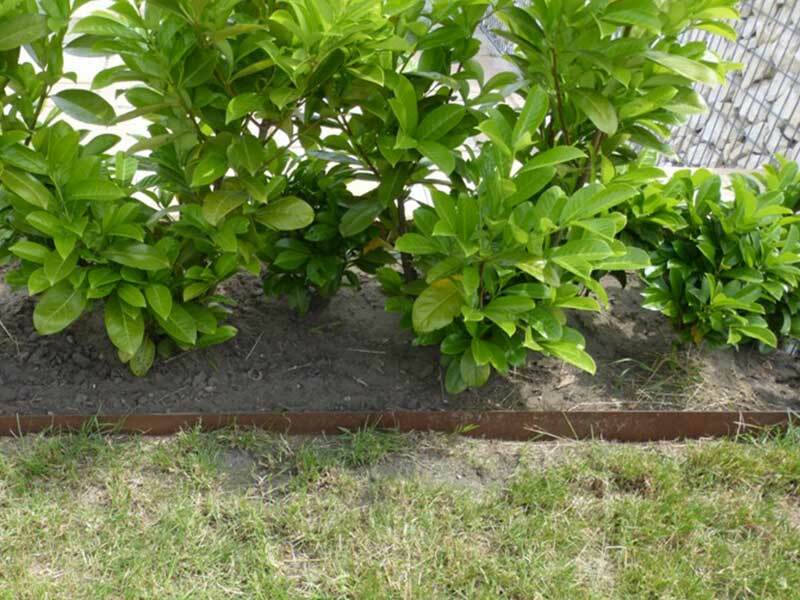 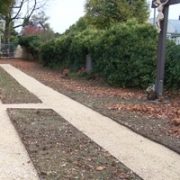 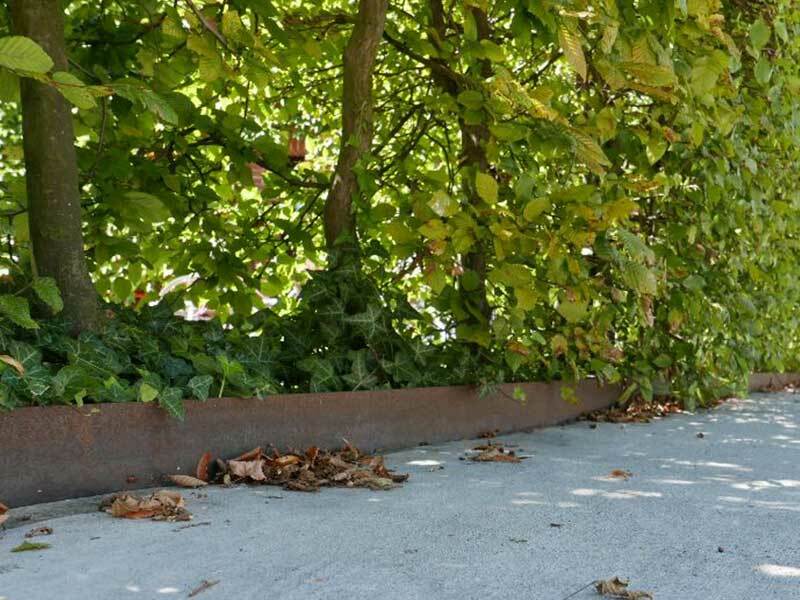 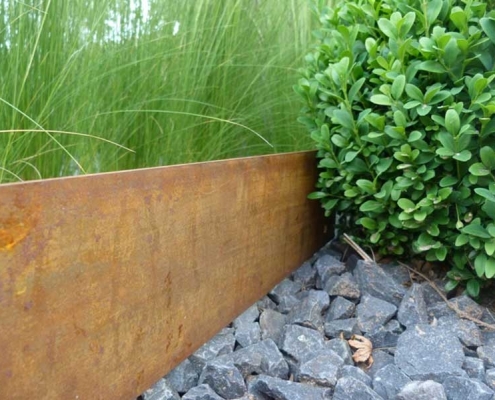 The Cortflex® lawn edgings and borders offer individual and appealing ways of separating the different design materials using a warm patina shade in a clean, durable and appealing way. 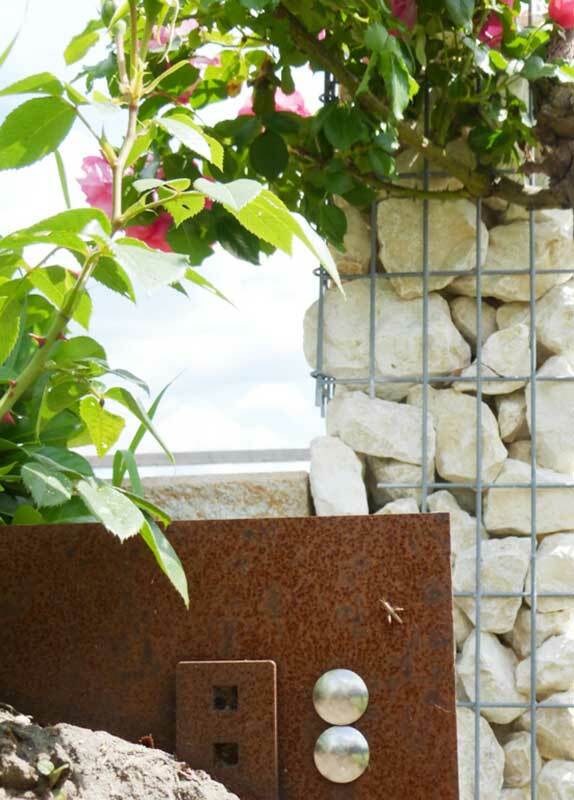 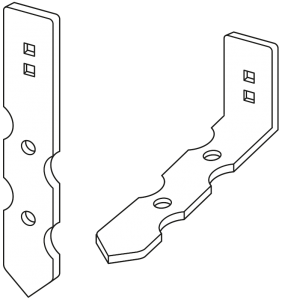 This system features high stability with solid concrete and ground anchors, hole patterns in the profiles that allow customisation on site as standard. 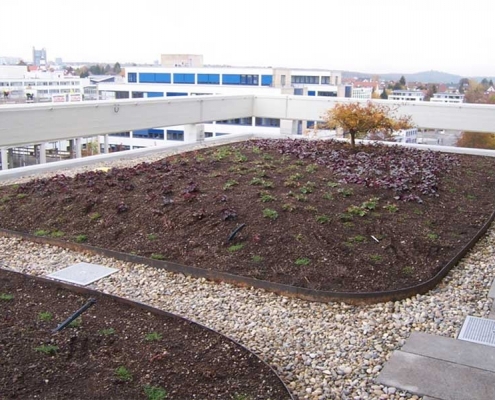 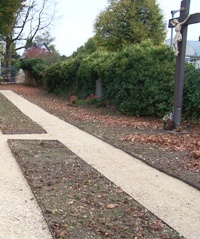 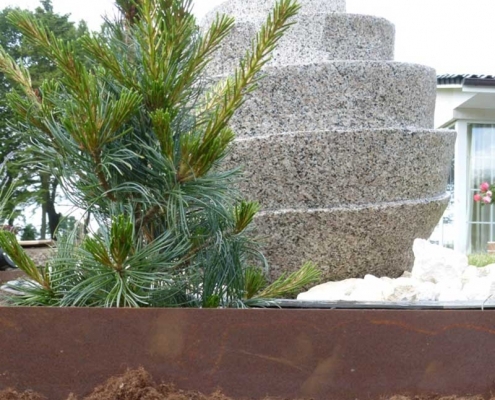 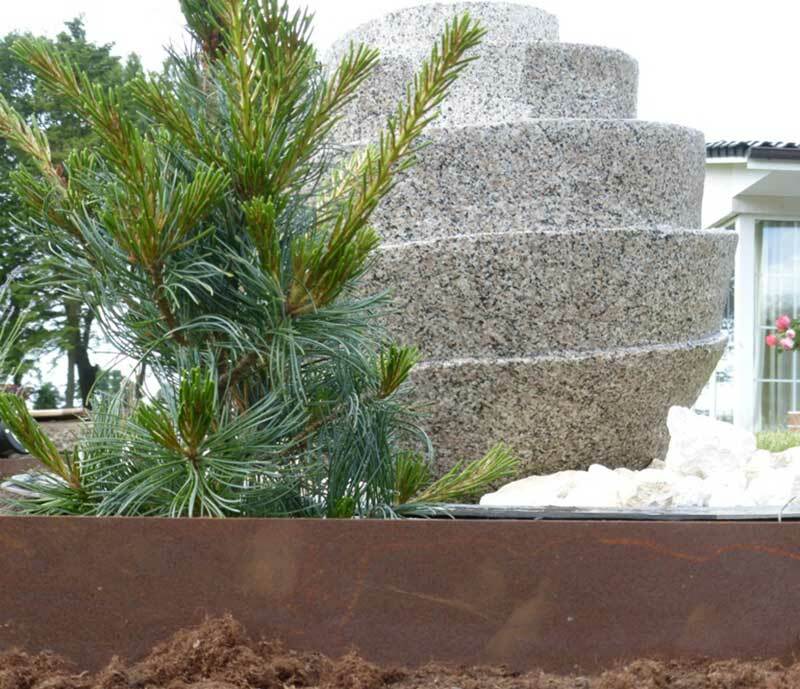 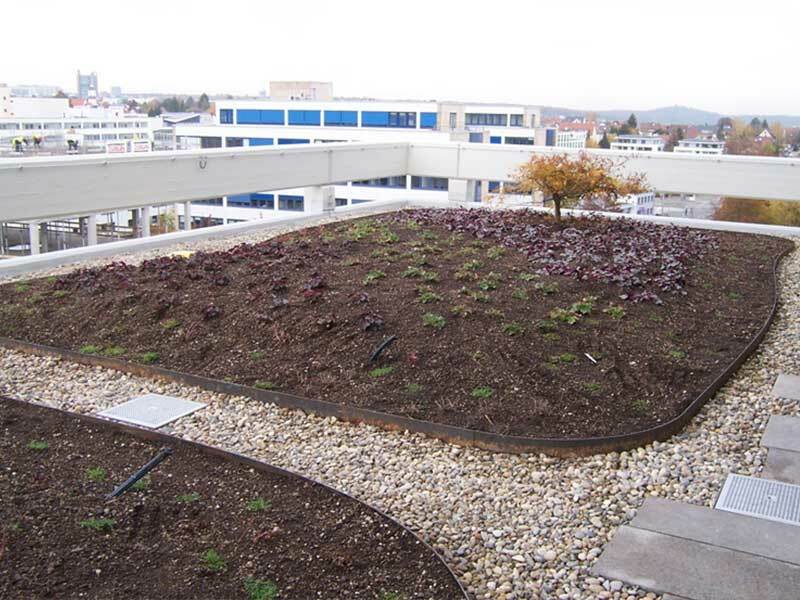 The profile heights of 105 mm and 160 mm allow installation with a visible upper edge for a decorative overall look. 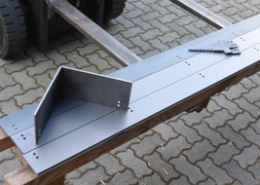 To install it, all you need is a screw wrench. 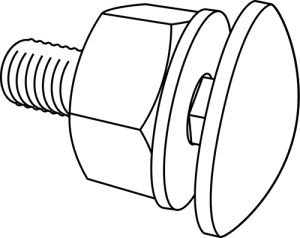 The M8 round-head screws with coach bolt and the washers and nuts are made of V2A stainless steel. 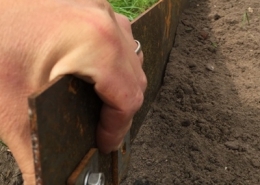 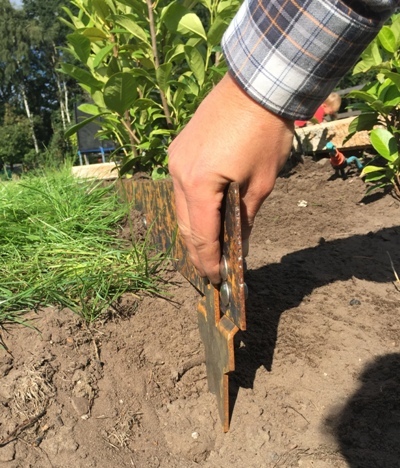 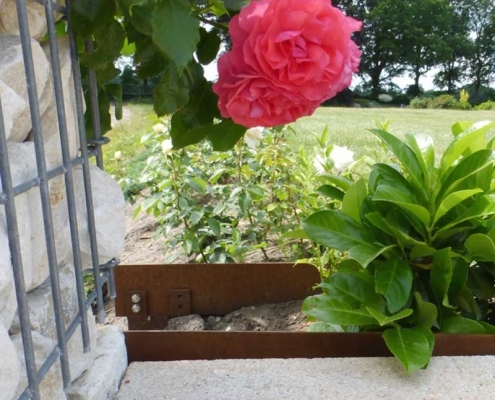 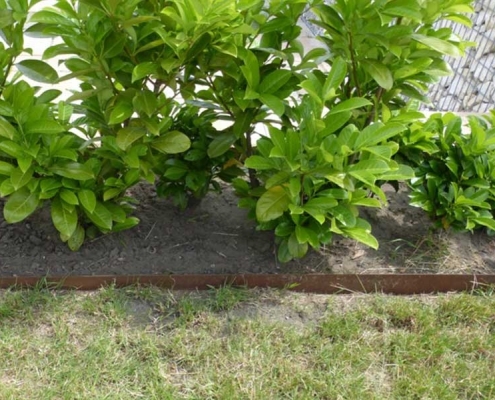 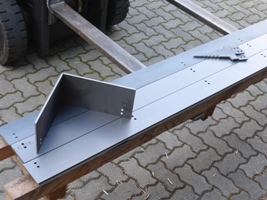 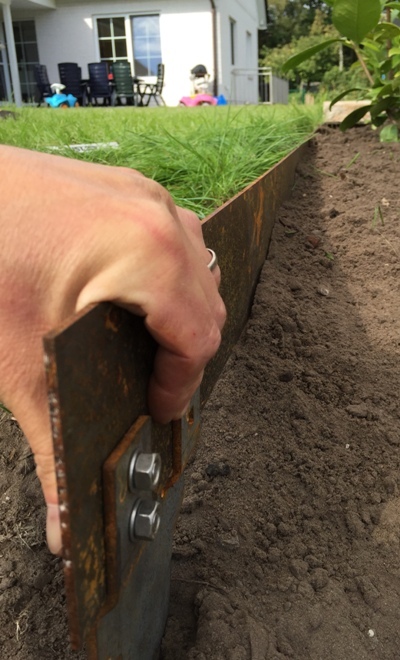 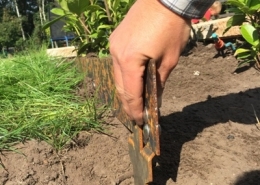 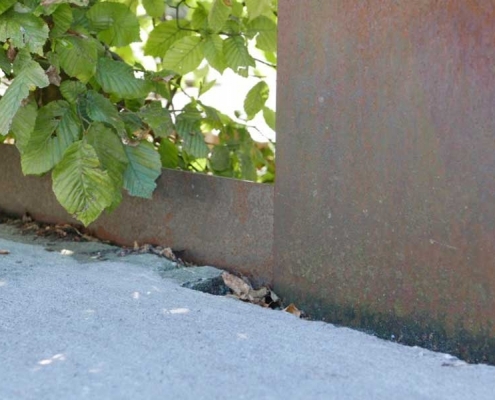 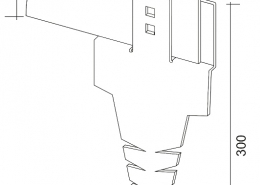 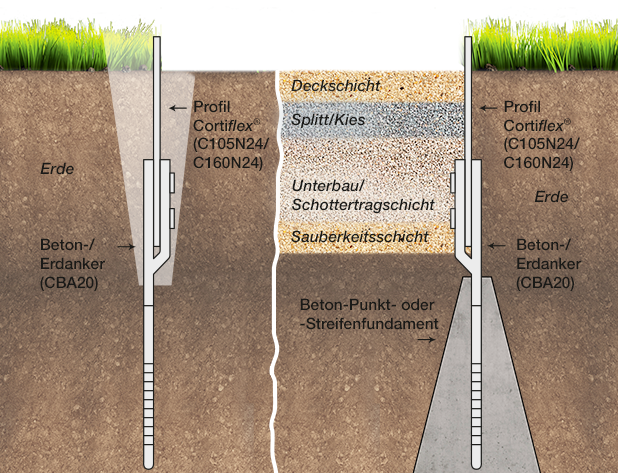 The concrete and ground anchors as well as the corner elements and connectors with the profile lines are screwed onto the prefabricated connecting screw holes without needing special tools. 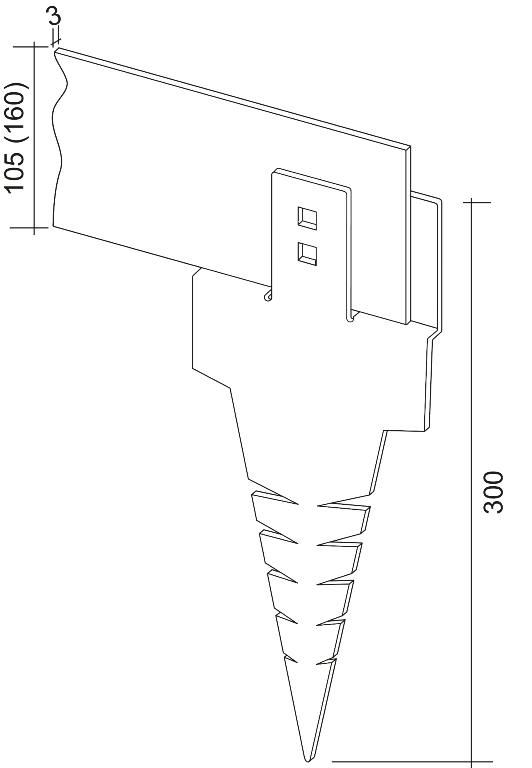 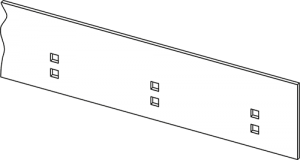 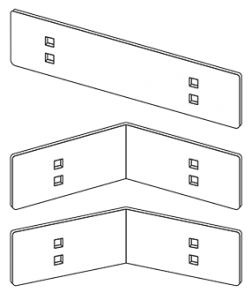 In addition to the 90° corner elements, 45° and 90° connectors are also available to create T-constructions and slopes. 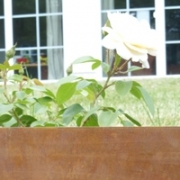 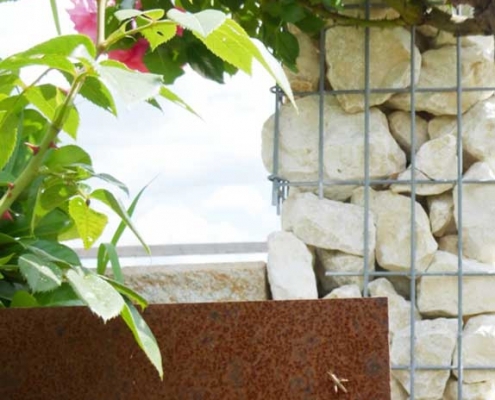 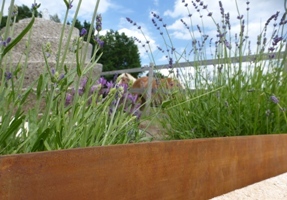 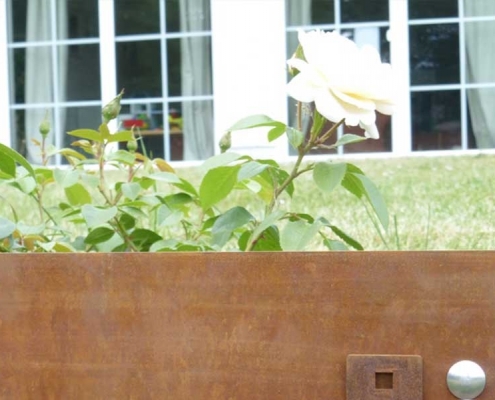 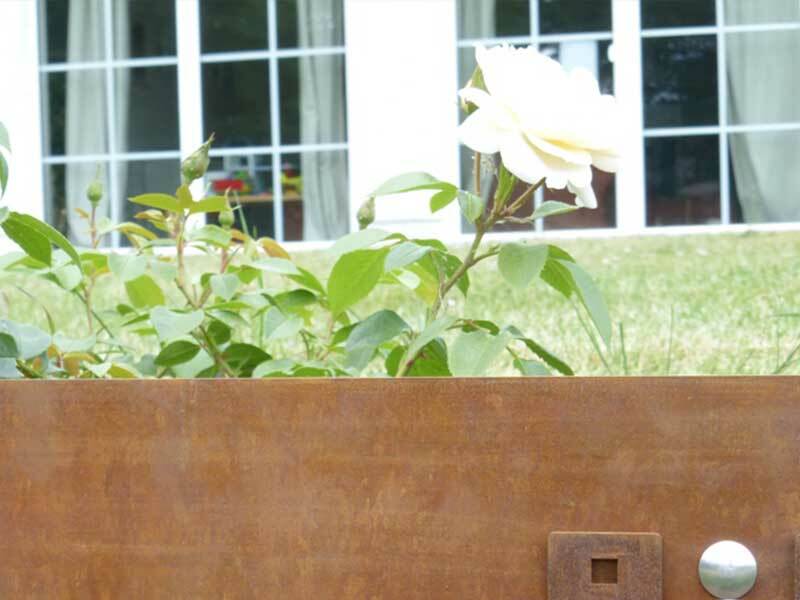 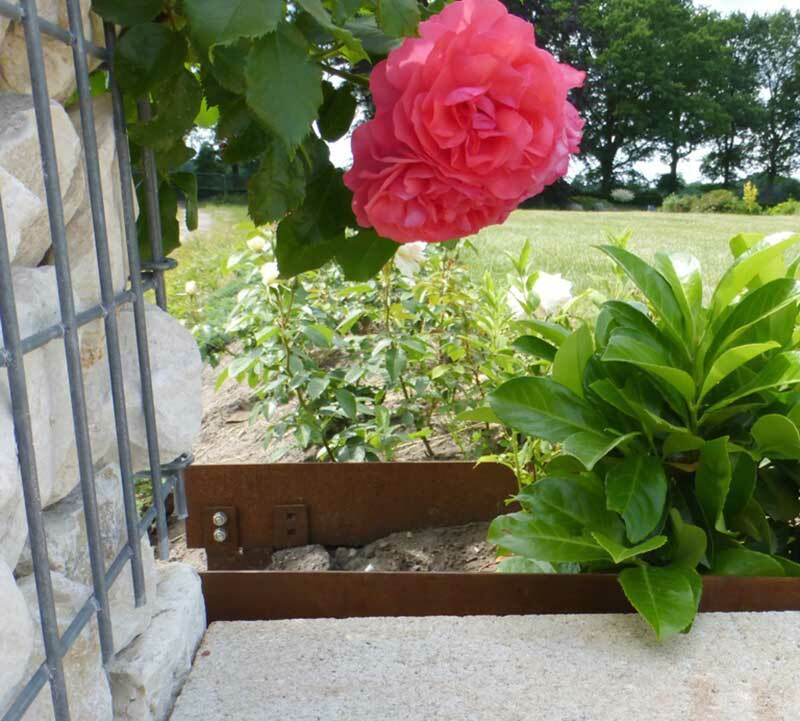 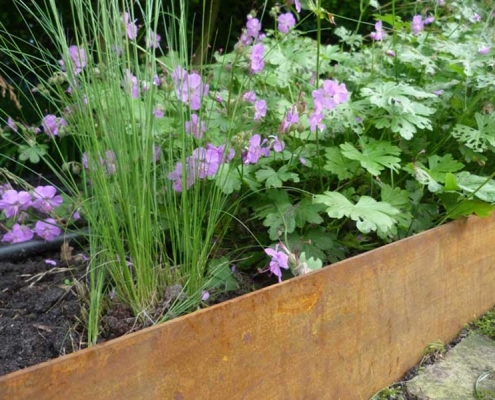 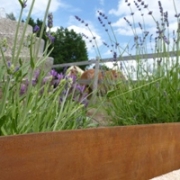 The Cortiflex profiles are shipped as mill finished Corten steel (S355J2W). 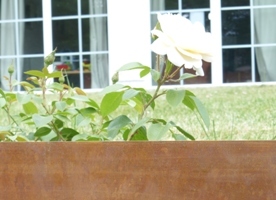 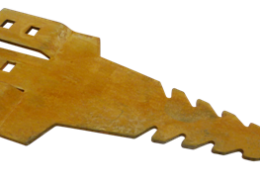 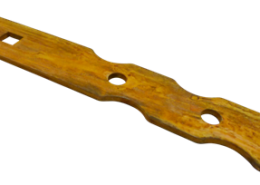 The desired patina layer develops over the course of several weeks; it will have reached its final surface look after approximately one year.